Late last year, Kotaku first brought word of coffee artist Kazuki Yamamoto. 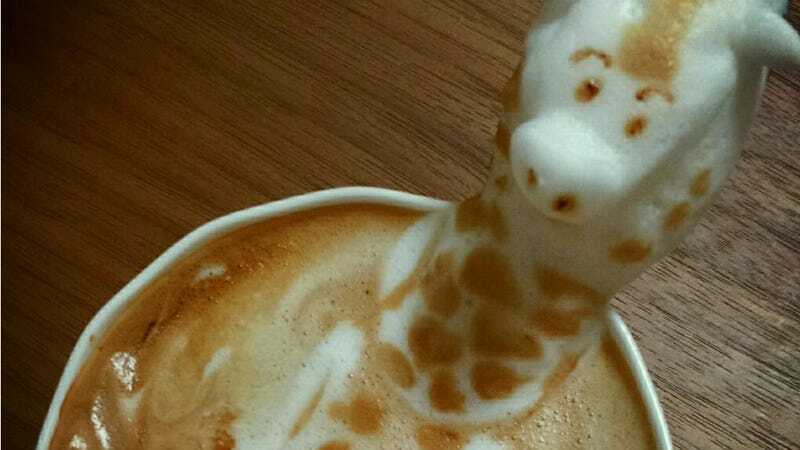 He makes stunning cappuccino art. In the last few months, Yamamoto has been perfecting his three dimensional creations. He's gotten even better. From Hello Kitty to Vault Boy from the Fallout games (friggin' Vault Boy! ), Yamamoto whips up pop culture in steamed milk. Incredible. Yamamoto works as as a barista in Osaka and helps make the internet a better place. In case you are interested, you can see more of his work (here and here). Or you can check out the color coffee art of another java artist who goes by the moniker "Sugi".